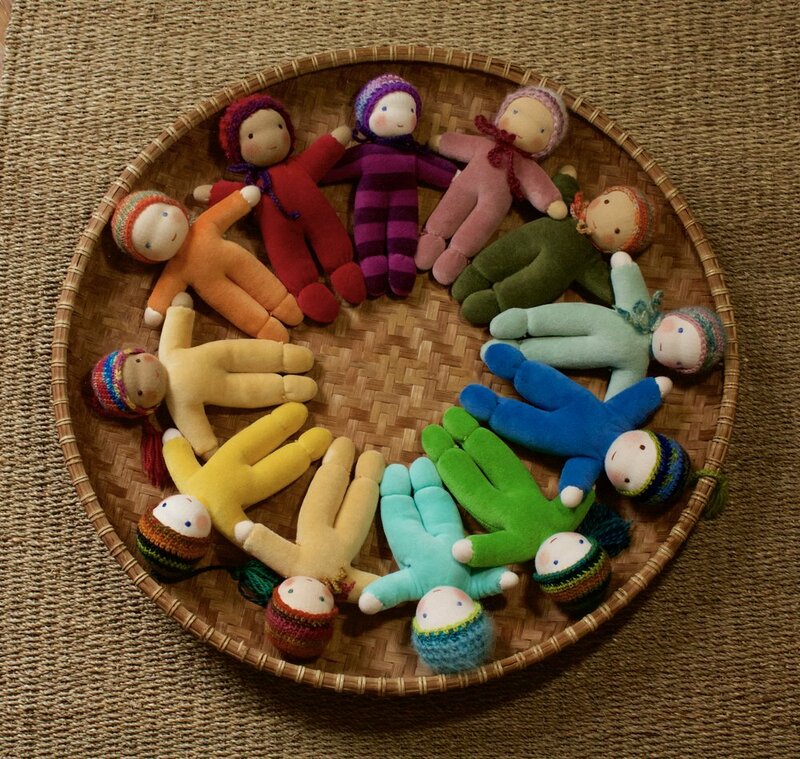 About Elisabeth Radysh: I have been making toys for over 40 years, ever since my children were small and am now making them for my grandchildren. Crafting playthings started out as a hobby and became a much more serious endeavor when I transplanted myself to Massachusetts. After having lived in New York City for about two decades I was faced with reinventing my life. My love for children, working with my hands, colors and textures provided clear direction for me and I fully embraced becoming a toy maker. About the Toys: The Radyshes are natural and unique toys. They are made by hand from natural materials whenever possible. I frequently use wool yarn, filling, and felt. Other toys contain sand, wood, herbs, pine cones, seeds and more. Washed and recycled sweaters feature a great deal along with other natural fabrics. These natural materials, especially the wool stuffing provide a lifelike feel to the Radyshes that synthetic fiber would not produce. In creating the Radyshes I strive to capture the essence and gesture of an animal or being. I intentionally keep them relatively simple so as to leave ample room for a child’s (or an adult’s) imagination. Each Radysh is a one of a kind. It always astounds me to see how in the process of creating them they take on their own personality or character. This way of working is deeply satisfying and calls forth ever-new creations! Care Instruction: Most of my toys are made and/or stuffed with wool. This material has a natural tendency to repel dirt. However any item requires cleaning I recommend gentle spot cleaning with a mild detergent and a soft cloth. Ordering: All of The Radyshes are unique and one of a kind. As such, the pictures on this website show examples of each category only. Please contact us for more information regarding specific hair, skin, eye and clothing colors and styles. Come see us at any fairs we attend, or contact us to make an appointment to visit the Radyshes shop.